We are instrumental in catering to the variegated requirements of the customers by bringing forth uniquely designed Wheat Jowar Rice Thresher. Developed with perfection, our offered threshers are developed at our state-of-the-art infrastructure unit. Available in different models, these threshers are closely tested on various parameters, before dispatching to the customers' premises. 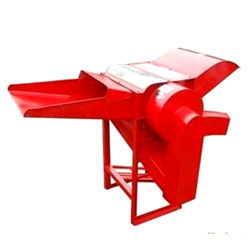 Looking for Wheat Jowar Rice Thresher ?